In the wake of the housing crisis, more people are investing money in their homes when buying a new one is not an option. Even if you are brand new to the do-it-yourself (DIY) lifestyle, renovating your place is easier than you may realize. Here are six of the best ways to save money on your home projects. If you watch a lot of home improvement shows, you've probably observed that most people's motivation for undertaking a home makeover is enhancing overall property value. Conventional wisdom says that making improvements to your kitchen and bathrooms will lend the biggest boost to your bottom line. While there are some arguments to the contrary, this strategy is a pretty safe bet. Think of your housing project as an investment for the future. While you can have fun with a new coat of paint and some fresh window treatments, you should always have an eye on protecting your investment. Make a list of everything you believe could use updating. Then, perform a bit of research to determine which renovations sustain value over time. Many consumers are intimidated by home improvement projects due to fear of the unknown. For example, an often-quoted estimate is that the average cost of a kitchen makeover is $53,931. People hear that number, realize that's the cost of buying a couple of cars, and decide to maintain the status quo. Take a deep breath. You don't have to spend anywhere near that much. By following a few DIY suggestions and employing a remodeling estimator, you may discover that your kitchen makeover can be done for $20,000 or less, depending upon what is needed. Research shows that a new wood deck costing $10,000 can retain as much as $8,740 of the investment. That kind of project embodies the perfect marriage of current needs and future home appraisal enhancement. Right now, you can enjoy barbecuing steaks on a grill you buy for your new deck. Down the road, when you are ready to sell your current residence, the money you spent will inflate your asking price. In the meantime, have fun decorating it with fantastic accessories like a bird feeder or an old-fashioned rocking chair. Head to an outdoor furniture specialist like YardEnvy.com, and enjoy knowing that you can afford to splurge a bit since you have already protected your investment. Believe it or not, there is an even simpler solution that can return as much as 96.6 percent of your financial expenditure. It's a new door. While this change won't improve your quality of living, it does go a long way toward improving the curb appeal of your home. After all, it's the first thing any visitor will see when they come in. Homer Simpson is always borrowing his next-door neighbor's tools. Even though he is yellow (and fictional), the world's favorite cartoon dad has the right idea. There is no point in buying a new batch of specialized tools for a short-term undertaking. Let your friends and coworkers know about your project. Find out if they have anything helpful that you can use for a couple of months. If they don't, check Craigslist and similar communities to see if somebody in your area is renting or selling the item you need for cheaper than retail. You want every dime going toward your project, not toward tools you may never use again. Not every addition is about home value. Money you have today is always better than money you may have tomorrow, so take the opportunity to increase your electrical efficiency. Dimmers and halogen bulbs will not be features that sell your home quickly, but they will save you hundreds of dollars in energy costs over time. That's money you can use the next time you want to remodel! Renovating your home is an exciting but scary process. Using the tips above, you'll be able to find the perfect balance between your immediate needs and protecting your housing investment over time. For those living on large tracts of land such as farms and ranches, the threat of intruders carries more danger than for those in urban environments. There are more places for intruders to conceal themselves, there are risks from chemical and fuel tanks, and emergency responders take longer to arrive. That's why it's important for property owners to have a comprehensive home security plan, especially with the long, dark winter nights on the horizon. These common forms of home protection offer the best way to secure your property. Physical barriers are tried and true standards in home protection, but for some, the costs associated with fencing off the entire property are prohibitive. If you are unable to fence your complete perimeter, consider strategic fencing. Fence off valuable assets such as livestock and crops. Fence any portion of the property facing public roads and prominently post "no trespassing" signs at regular intervals. Install a sturdy, locking gate at the entrance to your property. The most effective fencing is at least 6 feet tall and made of sturdy material. Electrical fencing is also an excellent deterrent, and most electric fence packages include an alarm that signals when a cable is cut or damaged. Electrical fences can be combined with other physical barrier systems to increase security. It's no secret that many potential intruders will turn away at the sight of a barking dog. You don't need to invest in expensive, highly trained guard dogs to get the security benefits of a canine. Many dog breeds make good watchdogs that will alert you to strangers entering your property. Keep in mind that there is a difference between watchdogs and guard dogs. Watchdogs are noisemakers that sound the alarm, while guard dogs are expected to engage an intruder and protect livestock and family members; they often work together. Keep in mind what role your dog will play in your security when selecting a breed. Firearms offer homeowners affordable protection for their livestock, family and property. Depending on your familiarity with weapons, your arsenal can be an easy-to-use shotgun or semi-automatic rifle platform like the AR-15, or a combination of handguns and long guns. Keep in mind that shotguns, while often considered good for home protection, have several drawbacks over other weapons. For example, buckshot may not incapacitate an intruder the way a rifle slug or bullet would, and shotguns require both hands to fire. This makes it difficult to open doors or turn on lights while searching for an intruder. Electronic access control, alarms and motion sensors are important components in a comprehensive home security system. Use electronic access controls instead of traditional keyed locks for buildings where valuable assets or sensitive chemicals are stored. Use glare lighting directed away from assets such as fuel tanks, wells and farm buildings to blind intruders attempting to access your valuables. Incorporate alarms that alert you when gates or doors are opened. Motion sensors that turn on floodlights near sensitive areas are another inexpensive security enhancement. You can choose to monitor your alarms and sensors on the property yourself, or farm out monitoring to a security company that will automatically alert emergency services as needed. Video surveillance is more costly than some other home security measures. However, where credible threats exist, or when you have sensitive chemicals, such as anhydrous ammonia, that are often the target of thieves, it may provide an extra layer of protection. You'll need a combination of cameras, monitors, and video recorders. Ideally, the video surveillance system will be integrated with a motion sensor that activates the camera and directs it toward the area where motion is detected. You can also combine an alarm system with your video component. No matter what your home security needs are, you'll find plenty of options to fit any budget. Combining elements of each of the above protection options will help you develop a comprehensive security plan that keeps your property and family safe. Therapy animals are largely associated with easing end-of-life care or aiding the blind, but the role of animals in rehabilitation and recovery is vast. Therapy animals can be incorporated into many diverse programs that assist all types of patients, including the speech impaired, recovering alcoholics, abuse victims, and many more. Farms and farm animals have become a popular form of assisted animal therapy for the varied experiences they offer patients. Are you interested in animal assisted therapy? Read on to learn the role of farms and farmers in animal assisted therapy. AAT is often a clinical method of socializing animals and humans for therapeutic treatment and benefit. The definition of AAT could include programs used to manage mental, emotional, and behavioral issues to actual programs that psychically aid those with disabilities. According to Scientific American, there are two types of ways to implement AAT: recreational and psychological. "Some uses of animals are purely recreational: their goal is to allow their human companions to have fun. There is scant dispute that interacting with friendly animals can 'work' for such purposes, because such activities often make people feel happier temporarily. To show that AATs work, however, researchers must demonstrate that animals produce enduring effects on people's psychological health, not merely short-term changes in mood, such as pleasure, relaxation or excitement." Much of farm-based AAT is often recreational, purely based on the ways patients interact with animals. However, this doesn't mean farm animals don't offer psychological therapy as well. Equine Therapy: Since horses are easily accessible in farm environments, Equine Therapy is a particularly popular form of AAT. The therapy typically involves trained horses. In some states, the farm owner must be certified to run this type of program. Equine Therapy is empowering to individuals with physical disabilities; therefore, the treatment goes beyond recreational. It's possible that Equine Therapy could have positive long-term effects. Domesticated Farm Animal Therapy: Many farm owners also choose to include domesticated animals in their programs. Domesticated animals are considered any animal that can live within a human environment. These types of programs typically incorporate dogs and cats; however, it's not uncommon for highly intelligent pigs to be included in AAT. Domesticated Farm Animal Therapy (DFAT) programs are often used for bonding. For this reason, DFAT is beneficial to abuse victims or those with autism and other emotional conditions. In a study published by the U.S. National Library of Medicine National Institutes of Health, it was found that, "Both farmers and therapists believed that AAT with farm animals could contribute positively to therapy to a large or very large extent, with farmers being significantly more positive. Most of the therapists thought that AAT with farm animals contributes to increased skills in interactions with other humans." Empowering through social work starts with the farmer's interest in AAT, as well as the patients who benefit. A similar study noted, "Social support by the farmer appears to be important. Positive effects are best documented for persons with affective disorders or clinical depression." If you're interested in starting an AAT program on your farm, be prepared to interact heavily with patients as they undergo treatment; your role in AAT could positively impact your patient as much or more than the animals they work together with. Since the role of the farmer is customary in farm-based AAT, it's important to receive proper training to facilitate an AAT program on your farm. A degree in social work provides an important foundation for community practices, direct practices, and mental health. An accredited farm and farmer will likely appeal to more potential patients, giving you and your farm greater opportunity to affect change within your community. As a farmer, what interests you about animal assisted therapy? Have you already implemented an animal assisted therapy program on your farm? What challenges, if any, did you encounter? Share your thoughts in the comments below. 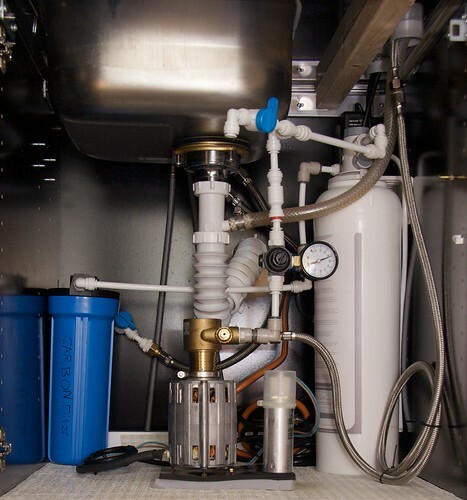 If you live in an area with hard water, it seems logical to have a water-softening system installed. After all, no one wants bathtub rings, spotty dishes, or dull-looking hair. However, these systems use salt for the water softening process and can create challenges for the environment, water conservation, and water management. Today, water softener alternatives that use no sodium or potassium in the process represent the latest water technology and don't present environmental problems. If you use softened water on landscaping or plants, the salt from these systems causes a build-up of salt in the soil over time. This high concentration of salt causes a decrease in the oxygen levels in the soil, especially if you live in an area that doesn’t get much rainfall. The soil begins to swell and plants are unable to receive the necessary nutrients to their roots. As a result, plants eventually die of thirst. Salt rings and yellow tips on grass, trees, and plants are an indication of salt stress. Since water softener alternatives don't use salt, plants and trees can thrive and be healthy. Unlike traditional water softening systems, water softener alternatives don't poison the soil. When water softening systems are used, salt is deposited in the city’s wastewater from everyday activities like showering, operating the washer machine, and using the toilet. The water that you use is likely the city’s water source for community agriculture and also used to irrigate parks. Over time, the high salt concentration impedes the city’s agricultural system along with preventing new plants from growing in parks. With water softeners alternatives that don’t use salt, you can help support your city’s endeavors to maintain picturesque parks and its agriculture. There's always an issue of environmental harm with cities that use water softeners. For example, where's the salt from the water discharged? In many cities, it’s discharged into local streams, lakes, or oceans. The high concentration of salt has a detrimental effect on both fish and plants that live in the water. Water softener alternatives contribute to the life of fish and plants; they don't require any water treatment before discharge, too. Although salt-based water softeners propose to conserve water, they actually use more. When the soil is compacted with salt, it doesn’t absorb enough water like porous soil. The result is that more water is needed to get the best results. With water softener alternatives, there's no wasted water. Water softener alternatives can save consumers from $100 to $200 a year on salt refill expenses when compared to salt-based softening systems. Since no electricity is required, there's also less energy consumption. These systems also increase the efficiency of hot water heaters. Conventional ion exchange softeners result in salty water with a high sodium content. This can exacerbate health problems for those with high blood pressure, diabetes, and other health issues. Since water softener alternatives don't use sodium, the cardiovascular system is improved and health risks are reduced. Water softener alternatives are ideal for those who want an eco-friendly solution to salt-based systems. In addition, they're a good choice in areas where conventional softeners have been banned because of negative environmental impact and for those who prefer to keep healthy minerals in their drinking water. All around, water softener alternatives are a smart choice for consumers. Today, there are many water softening alternatives on the market for both residences and businesses. Life Source offers a revolutionary water softening product for commercial and industrial applications. Its Scale Solver is a high-performance scale prevention system that's effective for boilers, water heaters, fixtures, and other appliances. Technology can be beneficial too. Products like Life Source Water’s home filter system can help homeowners to get better tasting water without using sodium at all. They use high-grade granular activated carbon that filters that water from tastes like chlorine while adding nothing to the water. Both water softening systems and water filtering systems provide water the way Mother Nature intended. Enjoy all the benefits of both. Social media is a great way to stay connected with friends, but that’s not the only thing you can do. You can also show off what you’re eating and see what others are eating, too. Take a look at why people share photos on social media and how it inspires us to bake. People like using Instagram because it's an instant way to show friends and the world what you’re up to. All you do is take a photo and then choose a filter to enhance it. Then, you can share the photo with all of your friends. This social media site was bought by Facebook, so the two are commonly used in conjunction with each other. For instance, Instagram photos of food can be streamed through Facebook. People are constantly posting photos of what they're eating or baking to show off. And this encourages others to do the same. People also like to share what they're baking on Pinterest. You could seriously spend an entire day looking through the baking pins on Pinterest and never get through them all. The difference between Pinterest and Instagram is that Pinterest is more about showing off recipes and DIY tips. It's a platform for bloggers and others to show what they can do. Karlynn Johnston says, “Bloggers/food writers are in the entertainment industry. Plain and simple.” They use Pinterest as a form of marketing. And people don’t complain because they want the baking ideas. Just like Pinterest, Facebook is the perfect place to show off what you're baking and see what your friends are baking, too. The difference is that Facebook lets you post the recipe along with the photo without additional links. Pinterest prefers people to just share photos. Addie Broyles says, “… eating is one of society’s most essential communal activities, and sharing food photos virtually is the next best thing to eating together.” So, go have lunch with your friends through social media. If you login to Twitter, you’ll probably see a few tweets about what people are eating. Tweets about food show a person’s personality and lifestyle. It's more than just bragging about what they're baking. For instance, you can sometimes tell if a person is a vegetarian, allergic to wheat, or on a gluten-free diet, simply from a tweet. Dr. Valerie Taylor from the University of Toronto says that posting photos of your meals on social media sites is a sign of an eating disorder. The reason for this is that most people like to post pictures of themselves with friends or having fun. Constantly posting photos of food leads to unhealthy eating habits. If you’re starting to show signs of symptoms of obesity or diabetes, it might be worth your time to check out Health Testing Centers guide. Of course, a mild level of food photo posting is fine and even encouraged on social media sites. You just have to find a balance and watch what you eat. Anyone who has ever planned an outdoor event will tell you that there's more to it than what you'll probably initially expect. When the success of your party is at the mercy of the elements, there are so many things that can go wrong – it can be discouraging to even the most experienced party planner. Whether you're putting together a beautiful wedding reception, a birthday party, or a simple barbecue, it'll be sure to go infinitely smoother if you have these three essentials. The last thing you want your guests to worry about is getting eaten alive by bugs. The best way to prevent it from happening at your party is by utilizing a multi-tactical approach. Treat the area with bug repellent ahead of time to get rid of any existing nests and eggs. Treating it ahead of time will cut down on the all-too-familiar smell of chemical treatments. Strategically place plants that naturally repel bugs around the area. Focus on the perimeter, as well as places where people will be likely to congregate, such as the food table and the game area. Lemongrass, lemon balm, dahlias, dill, garlic, lavender, marigolds, petunias, and chives are all natural bug repellents, and they make lovely add-ons to outdoor wedding decor as well. Go to town on incorporating these natural bug-busters into your party's decor and avoid having to spray everyone down with nasty bug spray. Invest in decorative citronella candles and torches to ward off any remaining bugs and add a soft ambiance to the party's atmosphere. Keeping the bugs at bay will be one of the best things you can do to make your guests comfortable. You want them to leave with happy memories, not miserable bug bites. All parties should include food that's in line with the current season, but this is especially the case when it comes to outdoor parties. When the shindig is outside, guests are especially observant of the weather, so it's a nice touch to let the season help you decide what to put on the menu. Autumn and winter events are great for comfort foods like macaroni and cheese, pumpkin pie, stuffed mushrooms, apple recipes, and sangria to drink. Menu items for spring and summer shindigs should gear more toward fresh fruits, veggies, grilled options, and light beverages such as lemonade and iced tea. Check out some healthier alternatives that won't leave your guests in food comas. Since guests to outdoor parties will have few opportunities to wash their hands, avoid offering messy foods such as barbecue ribs or corn on the cob. Stick to serving finger foods that can be served with toothpicks and keep everyone's hands nice and clean. Of course, every outdoor party should have a backup plan for when the weather doesn't cooperate. One of the simplest solutions is to rent a party tent. Even if it doesn't rain, guests may find it to be a nice break from the sun's rays or any harsh winds. Chances are you've planned an outdoor party to avoid bringing it into your home. But some backyard party hosts have the luxury of an indoor rec room that can serve as a backup area for the party. If this is an option for you, go ahead and plan to use it – but hope that you don't have to. As you make the major plans for your outdoor party, keep these essentials in the back of your mind. As with many things, it's always best to plan for the worst and hope for the best. No matter what the weather has in store the day of your party, you'll be ready with these tips. Please feel free to share any outdoor party planning wisdom you have with us in the comments below.